Broccoli Beef - Best homemade recipe featuring tender beef in a brown sauce. 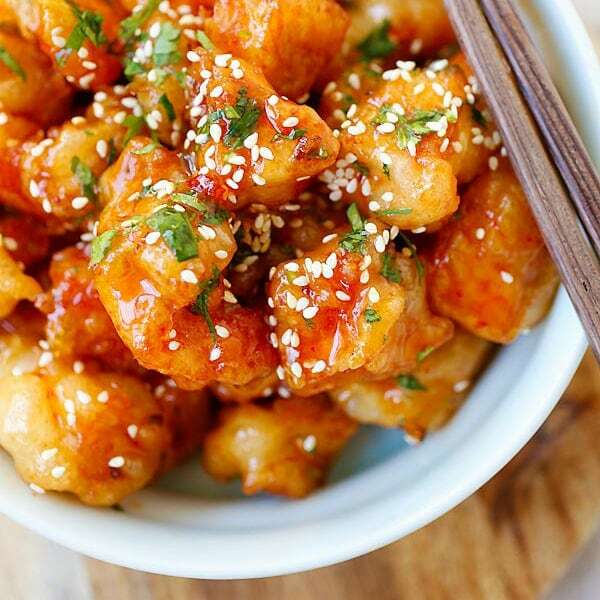 You'll never need to order it for takeout ever again, and it's healthier. Beef and broccoli is the most popular Chinese beef stir-fry dish in the United Status. It’s the poster child of American Chinese food so much as that the most popular item in Panda Express is this dish! The rich brown sauce with tender beef and healthy broccoli has captured the hearts and palate of many people. 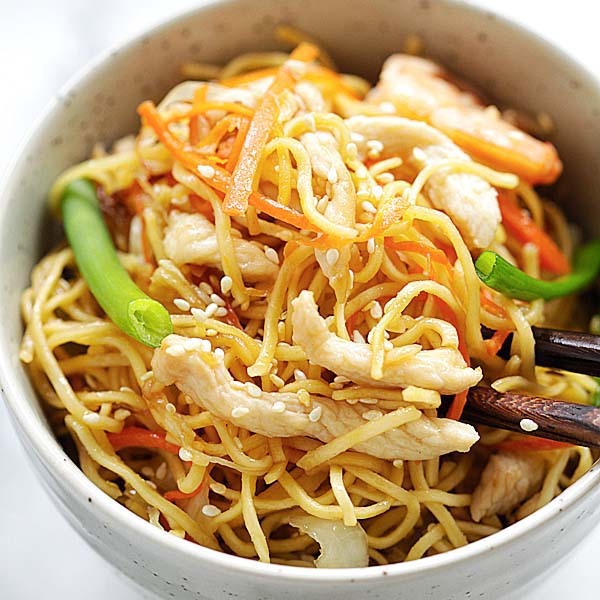 This recipe is from my Easy Chinese Recipes cookbook, the best selling and top rated Chinese cookery book. Cut the beef against the grain. This will ensure that the beef is tender and not rubbery. Velvet the beef to make sure you have silky, smooth and tender beef. Velveting is a secret techniques used by Chinese chefs to seal in the moisture of protein while stir-frying. The key ingredients for velveting is corn starch. Blanch the broccoli in hot boiling water first before stir-frying. 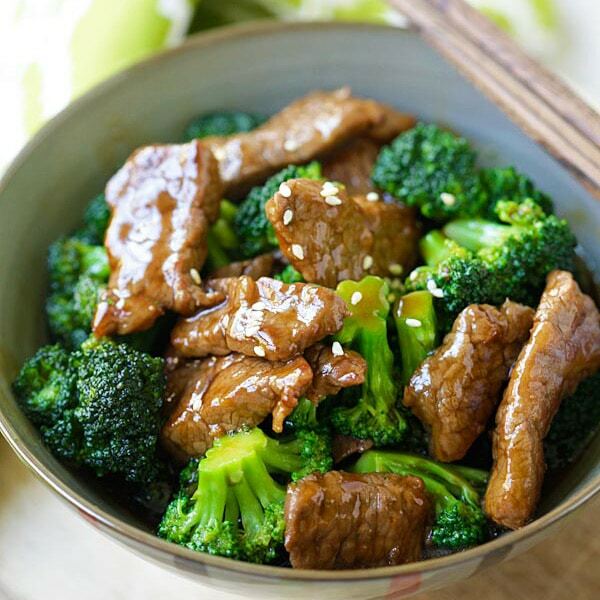 During the stir-frying process, quickly toss the broccoli with the beef. Do not overcook the broccoli. The brown sauce should be light and not starchy or sticky. It should just barely coat the beef. For perfect wok stir fries, please check out my Chinese stir-frying techniques. There are two types of sauces in Chinese stir-fry: white sauce and brown sauce. Here are the ingredients for delicious and authentic brown sauce. Broccoli Beef - best and easiest homemade beef and broccoli in brown sauce. You'll never need another broccoli beef takeout. Marinate the beef with all the ingredients for the Marinade, about 15 minutes. Bring the water to boil and add a few drops of oil. Blanch the broccoli florets in the hot water, about 10 seconds. Remove the broccoli immediately with a strainer or slotted spoon, draining the excess water. Set aside. Heat 1 tablespoon of oil in a wok or skillet over high heat. Stir-fry the beef until 70% cooked. Dish out and set aside. Heat the remaining oil in a wok or skillet over high heat. Add the ginger and stir-fry until aromatic. Transfer the beef into the wok or skillet and stir-fry until the beef is cooked through and the center of the meat is no longer pink, about 1-2 minutes. Add the broccoli and then the Sauce, stir to combine the ingredients well. As soon as the sauce thickens, dish out and serve immediately. Recipe is perfect. Just the right taste I am looking for – light, nothing overpowering. I didn’t have to change anything; I followed your recipe to a T and the taste was just perfect. The only thing different I did was to sprinkle the beef with baking soda for 15 minutes to make it tender. One question Bee, if I marinate the beef with baking soda for a longer period of time, will it make the beef more tender? If so, how much longer should i marinate it. Thanks again for a great & authentic-tasting Chinese recipe. Can you use cooking wine for this or you have to use chinese sherry or rice wine? Can you use garlic instead of ginger? If you don’t have rice wine, gin is the closest taste to rice wine. I highly recommend using this befor cooking wine. Cooking wine has a different fermentation than rice wine and gin. Is it better to use rice wine or cooking wine? Are they the same and would produce the same result? How do we make the beef extremely tender? Melt in your mouth? There are different methods recommended for velveting but this is the one I find works reliably. Slice raw meat across the grain. You then have the option of frying it, or as I do, poach for 20 secs in rapidly boiling water. Drain and set aside. Add it to the stir fry just before making the sauce. I’ve been allergic to shell fish most of my life. I can’t even touch shrimp without itching up a storm. I see most Chinese food has Oyster Sauce in it, but I’ve never had a reaction to any Chinese food. How can this be possible? Yes, Chinese food uses a lot of oyster sauce…you can’t escape it. 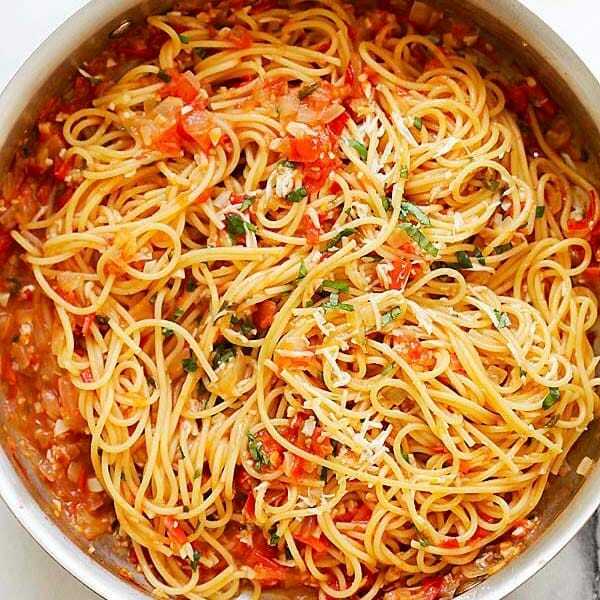 I just made this recipe last night and it was so delicious! I had 20 oz. of meat so I had to increase the marinade and sauce ingredients accordingly. I used Kame Rice Cooking Wine, Kikkoman Low Sodium Soy Sauce, and Lee Kum Kee Premium Oyster Sauce. I used regular sesame seed oil with no issue but I was wondering should toasted sesame oil be used instead? Would it taste very different if there was no ginger? I made this and the dynamite shrimp today 6/29/2013 and it came out great! You are awesome. I love your recipes. I was wondering if u could use this recipe to make shrimp andbbroccoli. If not could you post one soon? One in a white sauce preferrably. I don’t know if I have cooked this wrongly, I followed all ingredients and instructions but it turns out bad for me. I have never succeeded in cooking a stir-fry beef dish. It’s sad since beef & broccoli is one of my fav dish. I find that cutting the meat with the grain, then in thin slices across the grain first. Place in marinade then. after mixing well, adding 2 tbsp cold water then stirring well until water is absorbed. If there is no water left in the bowl, add another 2 tbsp and repeat the stirring. Keep doing this until water can no longer be absorbed by the meat. Leave to marinade while preparing everything else for your dish and then cook as usual. You can tell the quality of the meat you use by the amount of water you need to add. Good luck with this. I’ve tried this recipe and even without the rice wine or sherry it still tastes good and my husband loved it. As a working wife, this and your other easy to prepare dishes were a big help. Glad I found this site. 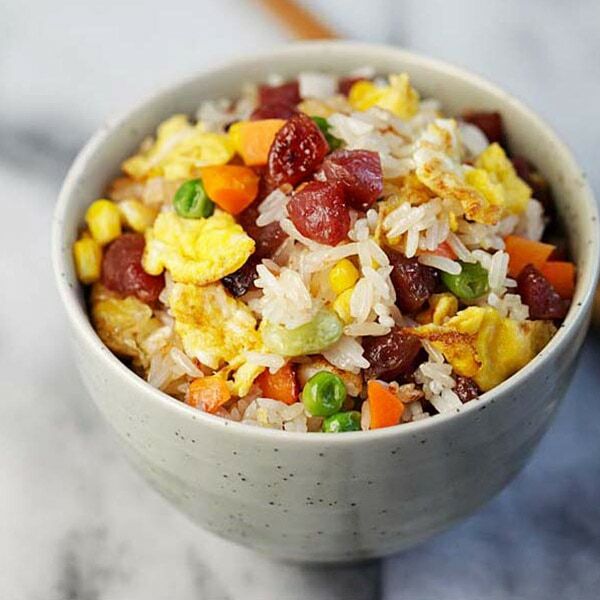 What kind of soy sauce works best for this recipe? Light or dark soy sauce? Ive seen a vegetarian mushroom version at asian grocery stores. Comparable brands so i think the taste is decent substitute for oyster sauce. Ive ate at chinese gourmet vegetarian restaurants in Singapore and didnt miss the flavor. Of course they probably concocted their own sauce but it was an eyeopener that chinese vegetarian could be that good and polished. When I make Beef & Broccoli – to make beef more tender, can I add baking soda to the marinate – or use baking soda first for 15 min, then rinse, then marinate? Yes, you can marinate and then rise and then marinate, please refer to my cashew chicken recipe. Hi! This looks awesome and I definitely have to try it but I was hoping to make chicken and broccoli tonight for dinner, can I follow this recipe for that? i’ve messed up beef & broccoli many times, whether it was too salty or beef was too tough. this recipe was PERFECTION. one of my favorite dishes is beef & broccoli even though i’m Asian. anyhow, i marinated the beef in baking soda for 30mins, then rinsed it out. i mistakenly marinated the beef with the sauce, rather than the marinade and let it sit for 15mins. when it was time to cook it, i added the marinade in and let it sit for another 10mins – then finally cooked it as instructed. i added another heaping of the sauce and it still turned out perfectly flavored. THANK YOU! I have a question. Why don’t you use oil or water velveting with the meat? I am merely curious if that would help. Thank you. Love your recipes! Hi Kortez, water and oil won’t do the job. The marinade was thick and pasty. Does that seem right? Regardless, the dish was delicious and my family loved it! I’ve just discovered your website (via Pinterest) and I’m going to search for more! Made this the other night & it was dee-lish!!! Thanks for sharing. Excellent recipe, and high-quality beef made it perfect. Thanks! Instead of blanching the broccoli, I often put the cut up broccoli in a microwaveable bowl with some water. Cover with lid and microwave for a couple of minutes. This is like steaming the broccoli and it will not be overcooked and the color is still very green. 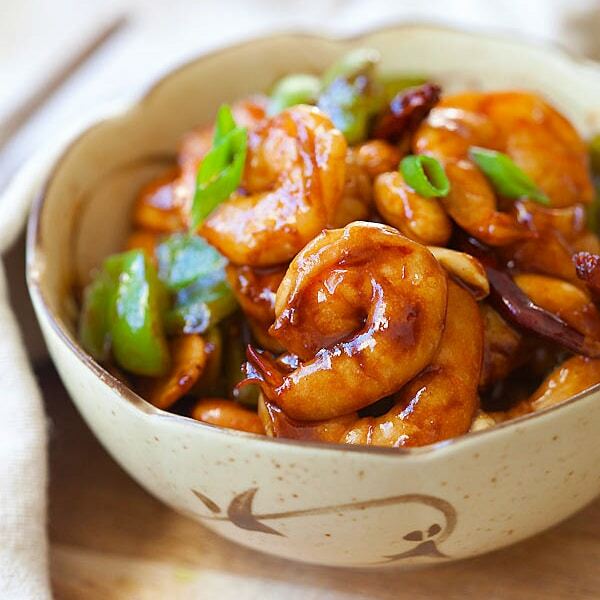 Many Chinese also add a little egg white to the marinade and it yields a velvety mouth feel. We loved this recipe. I referred to your cashew chicken recipe to velvet the meat which to me, was a big difference from how my meats end up usually. I will always do it this way from now on. 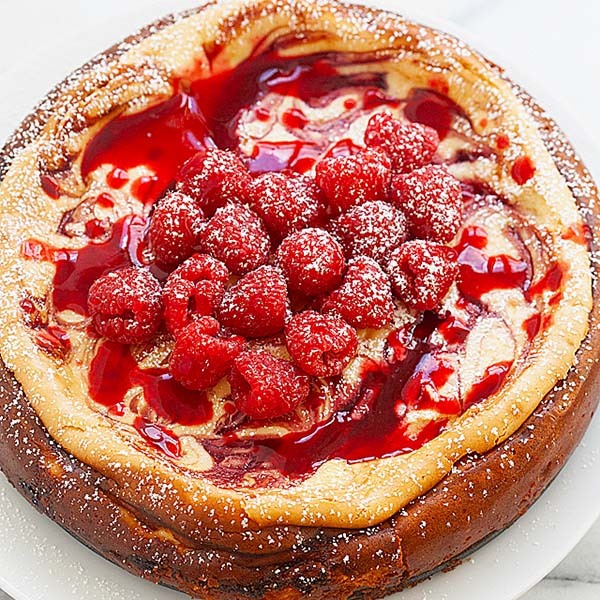 I didn’t add the sugar because we don’t care for the sweetness. It seems like every place I go now adds sugar to the meals, the ragoons, etc. We prefer it all without. I do have a question. Where I come from, Iowa, my favorite restaurant (closed now) made a dish called Prawns, Beef, Broccoli. It was wonderful and what I always ordered. The sauce was lighter in color and had a better taste, in my opinion, than just Beef and Broccoli. I’m wondering if you have had this or know of a place to get a good recipe? I did a basic search and didn’t find one. Tonight I am trying your Cashew Chicken recipe. I do believe I will be on your site quite a bit. Thank you. Oh and can you recommend an online store to purchase ingredients? We live an hour from any place that may have them and this would help a ton. Thanks again. Is there any non-alcoholic substitute to rice wine? Watered down Saki tastes like beer. I have used beer in marinated beef broccoli and it is fine. I dont eat oyster. Any substitute for oyster sauce? Thanks. Can you have fish sauce? If not, just soy sauce but it won’t taste as great. Another lovely recipe, Bee. Thank you. Bee, another winning recipe, haven’t made it yet. Enjoyed reading all of the comments and am looking forward to making this. Thanks again for sharing your delicious recipes! I just cooked this tonight and it was simple, tasty and just perfect – thank you! When you say to add the stir fry what exactly do you mean by that? Stir-fry is a Chinese cooking technique meaning to stir and toss the ingredients around to cook them evenly. I don’t have oyster sauce, but do have fish sauce. It sounded like you said the fish sauce can be used as a substitute for the oyster sauce? Can you follow the same recipe when making chicken and broccoli? Actually, anything with Western broccoli in it is not oriental Chinese food. Broccoli was never in China until modern times. Holly, this is an American-Chinese food. There is no Chinese vegetables in the US then so broccoli was used. Do you think Sirloin strips would work for this? My first time cooking Chinese! Loved it and so did my Son!! Thanks it was quite easy. Thank you for this recipe! I just made this and my husband said this is the best beef and broccoli he’s ever had :). I usually hate cooking but this gives me hope! So easy and tasty! 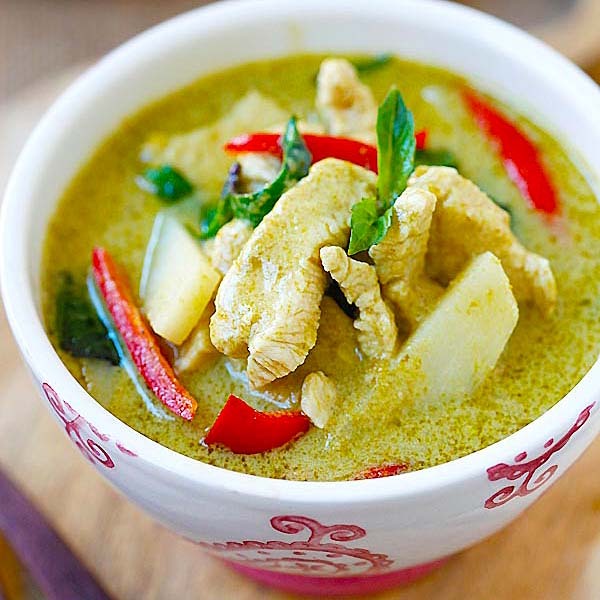 Terrific recipe, it became an instant favourite for me and my family. With the marinade, I simply added half a teaspoon of carb soda and allowed it to sit for 2hrs. Thank you for the post, Darryl ? Awesome Joy. So happy that you tried my beef and broccoli recipe.